Norma Kamali's has remained very popular since she established the OMO (On My Own) Norma Kamali boutiques in New York in 1968. Always willing to try something different, her design approach has been described as "out of the box." She is both flexible and disciplined. Her vintage pieces have recently become highly sought after collectibles. 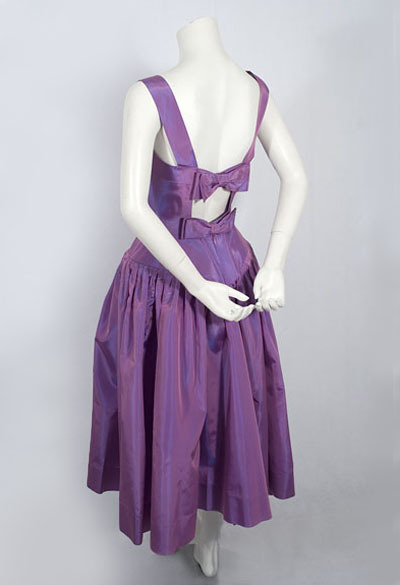 This fabulous vintage find is an example of her lighthearted approach to fashion. 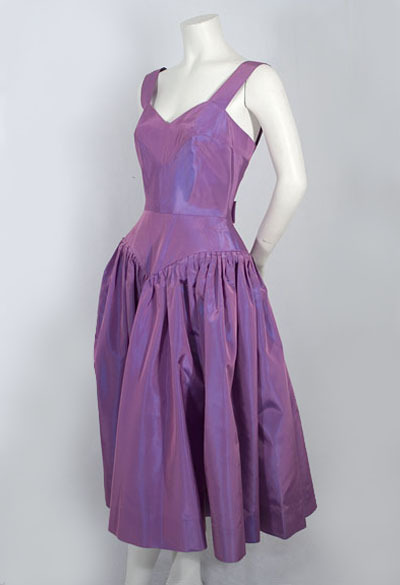 It is not surprising that Kamali chose the delightful lilac/mauve color well ahead of its current vogue. 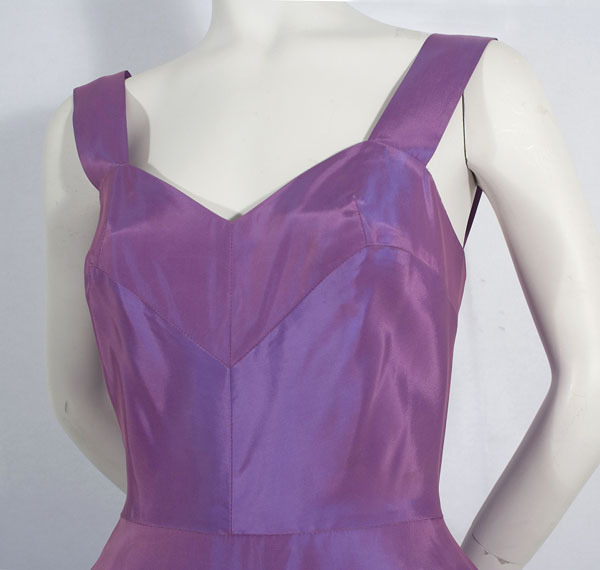 The bodice of the dress is self-lined and nicely finished inside. The fullness of the skirt is ingeniously supported with a padded roll just below the hipline. 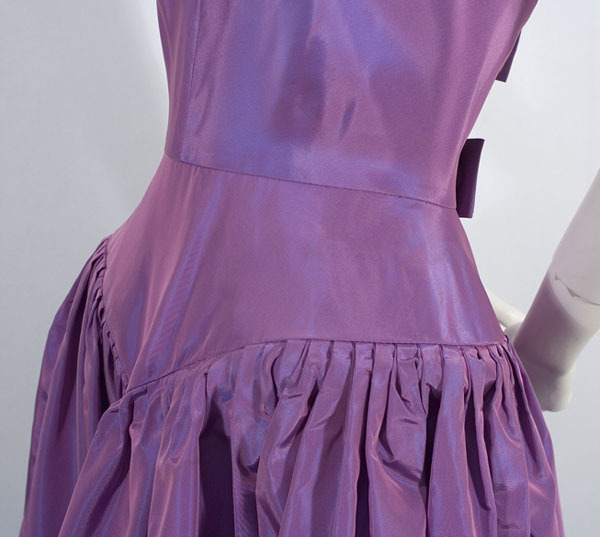 With the roll, the skirt will never look flat or wilted, even without a petticoat. The condition is excellent. The dress was never worn. The size is marked 2. It measures: 34"-36" bust, 27" waist, hips full, 16 1/2" from shoulder to waist, and 64" from shoulder to hem.